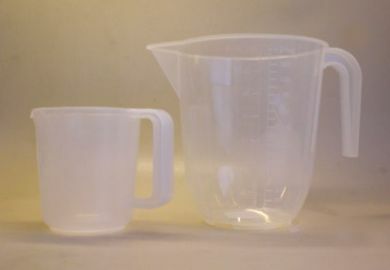 Plastic measuring jugs with pouring lip. A. 500ml (pint) 110mm. h x 105mm. d.
B. 1ltr (1 1/2 pint) 130mm. h x 120mm d.
C. 2ltr (3pint) 170mm. h x 150mm. d.